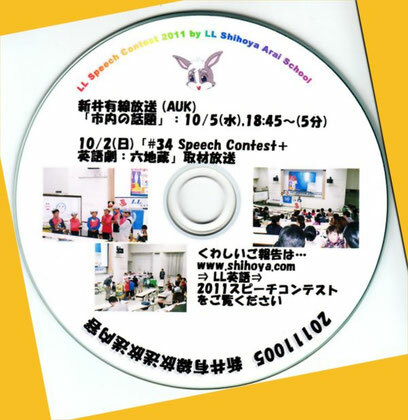 It was very kind and happy enough that AUK (Arai Yusen Hoso: Broadcasting Association) broadcasted the report of “#34 LL Speech Contest + English Drama, Six Jizos” that was held on Sunday, October 2nd for about 5 minutes at 18:30 on Wednesday, October 5th. 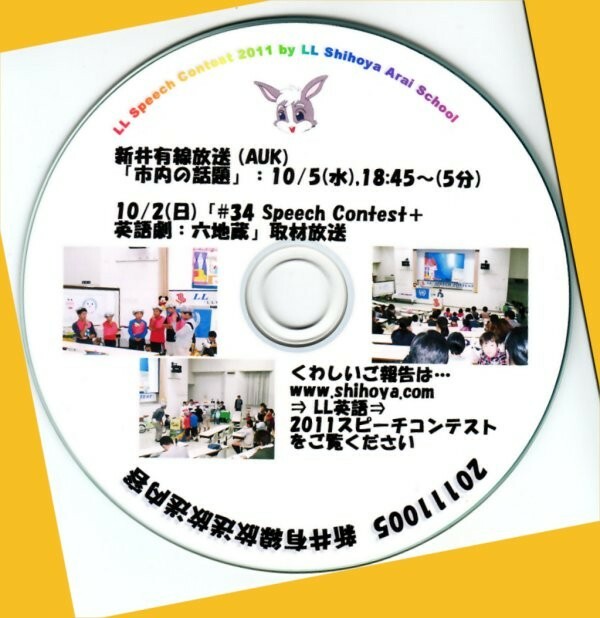 Yoshy copied it on CDs that will be presented to 6 LL students who were interviewed or introduced from Saturday, 15th. Probably some of them could be given at “Eiken Testing” on Sunday, 16th. I hope this will be one of your good memories. 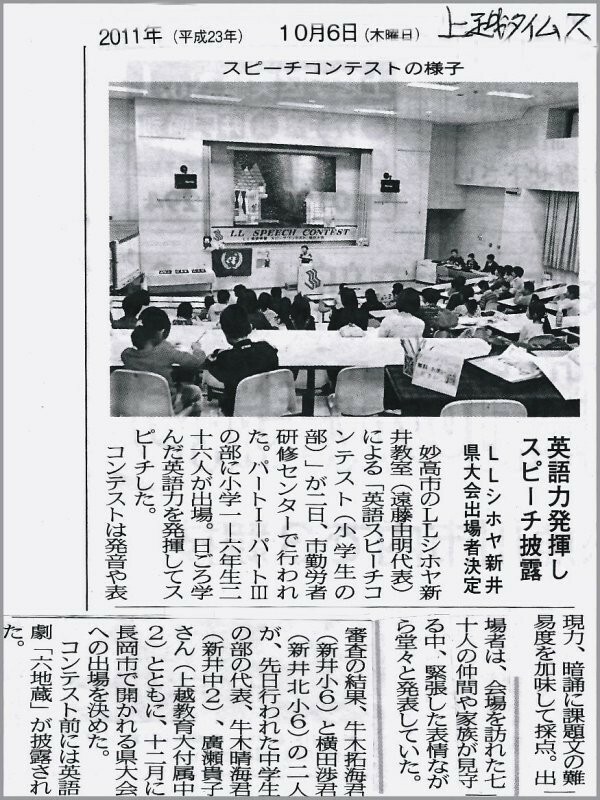 This big event of LL Shihoya Arai School was printed on the Joetsu Times on Thursday, October 6th. Seeing the printing types covered by the press always makes me happy. Thanks a lot, Mr. S, the manager of Myoko Branch Office! 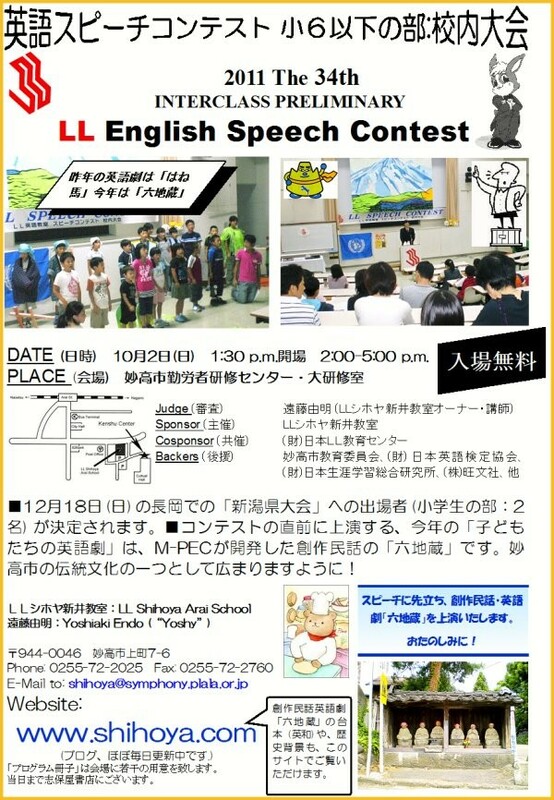 Next is “The 5th anniversary M-PEC Festival” which is going to be held on Sunday, November 20th. Yoshy hopes Mr. S and Mr. O of AUK could visit to cover the event. 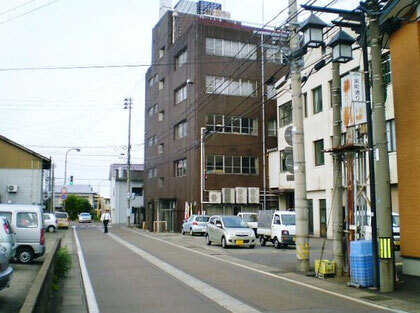 This event was also broadcasted on the phone-radio, Yusen Broadcasting (AUK) in the evening, from 6:45 pm and Yoshy’s wife could listen to that. But Yoshy carelessly forgot to record it because I was too concentrated on my lesson then to do. I’m eager to listen to it. Yoshy is going to visit AUK on Tuesday, 11th this month to record “YEC for October and November” so… Mr. O, would you mind presenting me the copied tape then? I’d like to let my students listen Mr. O’s introducing this event, I beg!